If you’re looking for a European city to explore I can certainly recommend Porto (the second largest city in Portugal) for you. In this article I’ll help you to discover Porto with my 9 highlights and top things to do. Porto is romantic and brimming with history, it has amazing food and drink and the people are extremely friendly – you should seriously consider visiting this up and coming destination. Before I set off I had been living in the same location for a few months and I was getting itchy feet. I need to stretch myself occasionally and remind myself what I am capable of so I played around with the Search tool on Skyscanner* and when a too good to be true deal to Porto turned up I was away. As I was living in Spain I did consider letting the train take the strain or even using a car share which I have done many times before, but the flights were cheap and the airport a simple metro ride from the city centre, so this time, the plane it was. Discover Porto: my 9 highlights and top things to do. When I visited I was lucky enough to meet up with a friend who is studying in the city (we met on the slow boat from Thailand to Laos). Eduardo very kindly took me along for a traditional Portuguese meal and showed me some of the sights. I also took two separate free (for tips) walking tours with Citylovers Tours and between Eduardo and the tour guides I learnt much of what makes the northern Portuguese tick. The river dominates Porto. Called D’ouro- meaning the river of gold, this major waterway is the lifeblood of the city. The old town grew up around the port, with stone buildings crammed onto the steep hillside on the banks on one side while the storage and distribution cellars of the port wine companies were built across the water. Six bridges cross the river, but by far the most spectacular is the Pont de Dom Luis 1 right in the heart of the city. The bottom tier carries road traffic and pedestrians, the upper level the tram and pedestrians. Look out for the young men collecting money from the gathering tourists and daring to jump off the bridge and do walk across both the top and the bottom levels in the daytime and after dark. One night, my friend Eduardo drove me up to a viewpoint at the Mosteiro da Serra do Pilar high above the city for a birds’ eye view which I loved so much that I returned to see the sunset a few evenings later. Eduardo explained to me how maybe as recently as fifteen years ago Porto had little night life and much crime, but it has now been cleaned up by the police and the politicians – and the residents are reclaiming the streets again. New bars, coffee houses and restaurants are springing up everywhere and there is now a vibrant nightlife scene encompassing art, food and music. Porto is hilly but there are buses, trams, funiculars and even a cable car which can take some of the strain; so take your time wandering around and enjoy the relaxed ambience and stop and listen to the music from the buskers who can be found playing on many of the street corners. Make sure that you take the local bus down to the beach which runs down and around the corner of the coast from the river estuary. A grand promenade runs behind a long stretch of golden sand where the big waves from across the Atlantic thunder ashore and are a magnet for surfers. If you have the time, go along to the little streets in the area known as Matosinhos where you can order fish from one of the little restaurants and ask for it to be grilled on a barbeque on the street in front of you. Porto is also a popular start point for walking the pilgrim route of the Camino de Santiago. I saw several people walking purposefully northwards along the promenade, their scallop shells hanging from their rucksacks; and if I do ever get around to attempting the walk, I think that Porto to Santiago would be my first choice of route. 3. The countryside around Porto. I had met Raj from Nepal on the free walking tour with Citylovers Tours and we decided to take the train together to the small town of Braga. 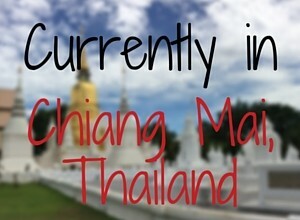 This town is famous for the number of churches and religious buildings. It’s very relaxed and offered a nice escape from Porto and the train ride alone through the Portuguese countryside was worth it. The tourist office told us about a couple of places to visit outside Braga that were easily accessible by bus although I have to confess that Raj and I were feeling lazy and we didn’t bother to go outside Braga. In the summer you can take a cruise along the river to see the hillsides along the D’ouro valley covered with vines – I had hoped to go pop along by train because the scenery is beautiful but I missed the early train and didn’t have enough time. The railway station in the centre of Porto is also well worth a visit and there are always people admiring the tiled artwork. The huge tiled pictures tell the stories of the history of Porto and also show off the opulence of the city to arriving passengers. Much of the old town and the area clustered around the riverside is UNESCO listed thanks to the beautiful architecture. Tall narrow town houses are squashed together, many are tiled, most are painted in rich colours and the majority have ornate balconies, railings and shutters. The huge Plaja Libertad is flanked by restaurants and hotels and topped by the grand civic building which sparkles a brilliant white in the sun and is lit by amber spotlights after dark. Bolhao Market is the oldest in the city and has a worn down shabby feel. Walk around the upstairs terrace and you will feel that you are transported back in time, although due to rumuurs that this is the next public space that will be renovated, many of the traders have already moved out which gives the place a down-at-heel feel. Porto certainly does well with green spaces. The City Park which is actually on the outskirts of the city is a huge green space with meandering paths that circle around a lake and attracts runners and cyclists – as does the whole promenade area along the beach road. Crystal Palace Park contains a stark green dome – squatting among the trees like a space ship and which houses a sports centre but the park itself has great views of the river and the hillside below. Another park worthy of a listing here is the …which has a lake and some cute sculptures among the trees. Right in the city centre is a green space at the foot of the Torre dos Clerigos. An enterprising bar owner has taken advantage of this position and supplies blankets for lounging on in the sun. Cool music plays in the background and I was told the bar becomes an outdoor club in the summer. The Contemporary Art Museum is surrounded by gardens and farmland. There are landscaped ponds, long driveways underneath grand trees, strange sculptures and the pink art deco house which houses further exhibitions. Porto has many churches which vary enormously from the stark and bare to the ostentatious Igreja de Sao Francisco which creaks under the weight of all the gold. Many of them are tiled on the outside – (as are many of the other buildings too). The tiles (mostly blue and white) were put on the buildings to combat and protect the structures from the humidity as well as being a means to show off the prosperity of the city in the past. The tiles repel the damp during the winter and reflect the sunlight in the heat of the summer and are a feature all across Portugal. The Cathedral is on a high point above the city where it can be seen by people approaching from the river. Unusually behind the university there are two churches (one is the Igreja do Carmo) that have been built virtually next to each other. It wasn’t allowed for two churches to occupy share the same wall so the tiniest little house was built in the small gap between them to get around that ruling. I already mentioned the Torre dos Clerigos above. It is a good climb up the 240 stone steps to the top of the 75 meter high tower but you get fantastic views of the terracotta roofs of Porto, the river and the countryside beyond. The church attached to the tower contains a small museum and you can climb up into the galleries that overlook the altar. 7. Food and drink in Porto. Portugal is very reasonably priced and the food is good. Pork is a favourite and every part of the pig is eaten – the people from Porto and the north are traditionally called triperos – tripe eaters due to their love of that particular speciality. Bacalao (salted cod fish) is a staple dating back to the days when people had to salt their fish to preserve it and apparently you can now find over 1000 recipes for bacalao. I decided not to do a port wine tour but I did want to sample the various types of port. Luckily I didn’t have to take part in a tour for this and I stumbled upon the 3+Arte Cafe. This is a co-working space for creatives with a bar and good wifi – so despite being by myself I ordered a tasting set of three different types of port wine to test and compare. I spent time working on my computer and ignoring the strange looks from the people who were eying up the three glasses of port that were in front of me. Cafe Majestic is one of Europe’s oldest cafes and with its art nouveau frontage is certainly special. The prices match but if you can grab a table and you want to soak up the atmosphere of times gone by, just order a coffee and watch the world go by. 8. The Harry Potter connection. The Harry Potter books from J K Rowling contain several connections to Porto. The author lived in the city for a while and some of her inspiration came from the things that she observed. Groups of university students wander around the city conducting strange (to outsiders) ceremonies for the novices but noticeably they are dressed in black woollen capes similar to the ones worn by the students of magic in the books. The Lello Book shop got so inundated with tourists wanting to look at the interior with its carved wood features and the staircase (was it the inspiration for Hogwarts?) that they have now resorted to charging an entrance fee; although that is refundable off the price of any book purchased. 9. The people are always the highlight for me. The people from Porto remind me of the Spanish but they are calm, quiet and extremely polite. That is not to say that the Spaniards are not, just that the Portuguese are more so. Portugal has been in economic crisis for some time now and food, drink, transport and accommodation costs (for tourists) are probably among the cheapest in Western Europe at the moment. My history lessons in school didn’t focus on Portugal at all so it came as a surprise to me to learn that the country also suffered under a dictatorship for many years. There were in fact three successive leaders who ruled with fear and over the years many innocent people were tortured or simply disappeared. The nickame for the Golden Anchor bar near to the university translates to the Portuguese name for (head) louse and, legend has it, got its name from the days when the city was full of government spies. It became illegal for more than 3 people to gather and talk in a group on the street so the bars became places for chatting. The landlord of the Golden Anchor was believed to be sympathetic to the people and would scratch his head to indicate that there was a suspected spy in the bar listening to the customers. If you would like some more inspiration for things to do in Porto from another perspective, then read what the Crazy Tourist has to say about the city …click here. And for me, as always, what made Porto special were the people that I met. Rui from Paris who has inspired me to walk the camino from Porto, Erika from Germany for your fun company, Raj from Nepal and Rita and the rest of the super friendly staff at the Porto Lounge Hostel Thank you to Eduardo for giving up your time and showing me around and introducing me to the smaller, more traditional places where the Portuguese hang out and also Maria and Patricia from the walking tours. Thank you everybody for sharing your stories with me and for giving me yet more insights into the strength of the human spirit. 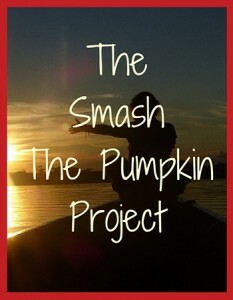 I support and encourage people to change their lives with the Smash the Pumpkin Project, but you change mine. When I was in Porto I never got around to visiting the golden clad Igreja de Sao Francisco, taking the train to Coimbra or the boat/train down the D’ouro valley to the vineyards. I never ate tripe either so I shall just have to return, although not specifically for that! I stayed at the Porto Lounge Hostel which easily makes it into my top ten of the cleanest, brightest hostels that I have stayed in. If you have never stayed in a hostel there is nothing to be afraid of; do give it a go. Many hostels now even offer private en-suite rooms and if you’re nervous about the required etiquette in a hostel you can read my guide on how NOT to behave in hostels (but please bear in mind that encountering problems such as the ones in my article are very rare). I travel slowly, working from my laptop but there was plenty in and around Porto to keep me occupied all week, although had I got fed up, Lisbon was a relatively short train ride away. Thank you for taking the time to read this article. Make sure that you don’t miss out on future posts by signing up and following me at www.scarletjonestravels.com where you can get your free guide – ‘7 days to a more confident YOU‘ once you have entered your email address. This article may contain affiliate links. If you click on one of these links and subsequently make a purchase you may generate a small amount of commission for me which will enable me to continue travelling and bring you more informative articles such as this. This article was very interesting. Also very good photos. Good article and I like your photos… except I had no idea where Porto was until I got to the end of #6! You might want to do an edit to your first sentence so we’re not left wondering what country is Porto in! I was trying to guess the whole article. At first I thought Spain. Then I guessed Italy. Then when the D’ouro valley was mentioned, I guessed France. Fun guessing game, but Portugal obviously wasn’t in my first 3 guesses!